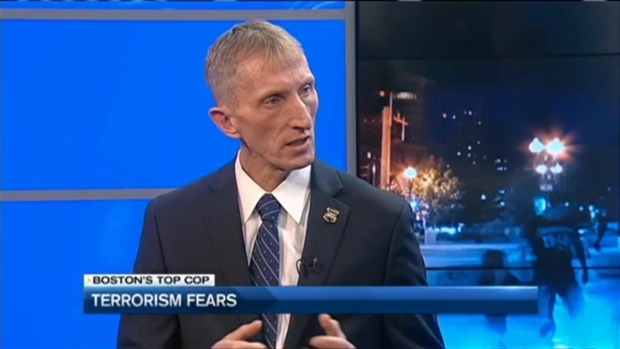 Boston Police Commissioner William Evans joined necn's Latoyia Edwards on Tuesday to discuss the recent travel warning, terrorism fears and complaints against the Boston Police Department. In a conversation with necn's Latoyia Edwards, William Evans discusses the recent travel warning, terrorism fears and complaints against the Boston Police Department. Evans also spoke about Chicago crime, diversity concerns at the Boston Police Department and a digital campaign for cold cases. 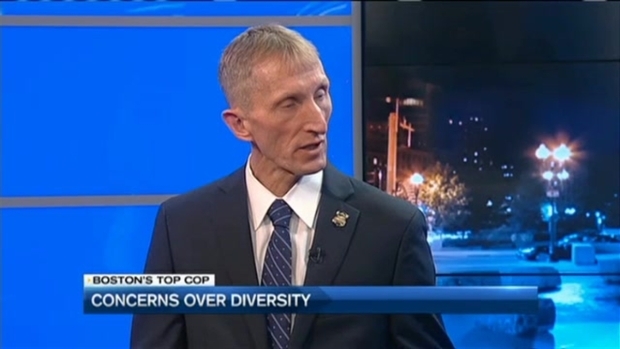 Boston Police Commissioner William Evans joins necn's Latoyia Edwards to discuss Chicago crime, diversity concerns at BPD and a digital campaign for cold cases. Finally, Evans answered five quick questions to close out his interview. 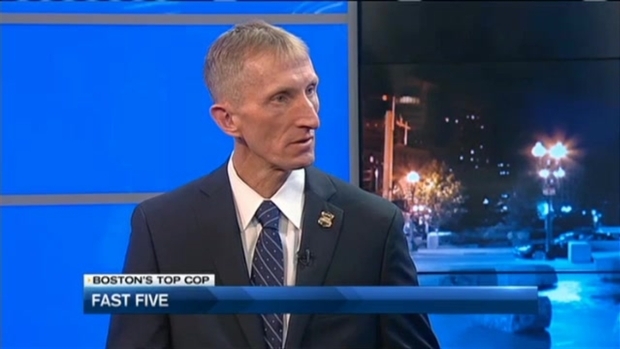 Boston Police Commissioner William Evans joins necn's Latoyia Edwards for a quick five-question Q&A session.